The first series of BBC’s Sherlock, based on the works of Sir Arthur Conan Doyle, introduced the famed sleuth as someone having a brilliant mind with superb attention to detail. What gives Sherlock’s character color, however, are his poor social skills and arrogance, attributes that sometimes go with having an extremely high IQ. The first three episodes of the series, A Study in Pink, The Blind Banker, and The Great Game, established the character’s background including his estranged relationship with his brother and his complete self-absorption. When Sherlock became friends with Dr. John H. Watson, the latter’s calmness, practicality, and empathy started to rub off on him. In the series finale, viewers got a glimpse of the change in Sherlock Holmes. When Watson was used as bait against the schemes of his archenemy Jim Moriarty, Holmes was willing to lose just to save his friend. In the second series, we see another side of Sherlock that surprised everyone around him (including his brother Mycroft). Though his brilliance, arrogance, and tactlessness were still intact, he was no longer just a thinking-machine without emotion. He discovered his capacity to love; realizing that he is, after all, human. The third series expanded on Sherlock’s relationships with Watson, Molly, Mrs. Hudson, Lestrade, and the rest of the series’s supporting characters. This established that Sherlock’s circle has grown bigger than perhaps he is willing to admit. His friendship with John and Mary proved tighter now that he has vowed to protect them. That was a surprise because, as John would often point out to him, since when has Sherlock thought of anybody but himself? There is no denying that Sherlock has developed and matured. But no one’s quite ready for the humanity found in the first episode from the latest season. Sherlock was more than the great detective from 221 Baker Street who outsmarts people and solve baffling mysteries. He is a friend to John and to Mary. He was willing to do everything to protect them. And you can see that developed in The Six Thatchers. But depicting someone’s humanity means highlighting their flaws and imperfections. 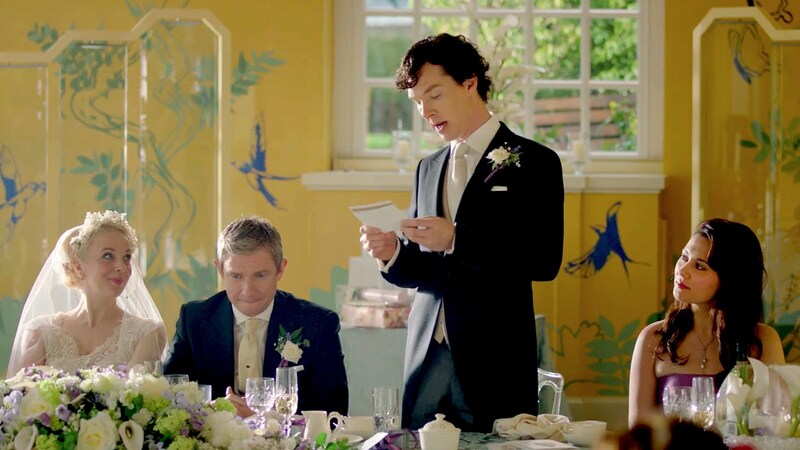 Though Sherlock may have become more empathic to select people, he still couldn’t stop himself from pointing out to others that he sees right through them. And his tactlessness can push people to snap which unfortunately others paid the price for it. It wasn’t only Sherlock’s humanity that was highlighted here. There was also the humanity of John and Mary. The whole episode plays with their humanity – their flaws and imperfections. Though some may find it awful and unacceptable, it is what makes them human and relatable. Feel free to comment what you think of the latest episode of the Sherlock on our comment section.